The CW has announced the summer premiere dates for Breaking Pointe, Whose Line Is It Anyway?, Perfect Score, and The Hunt. Breaking Pointe is returning for its second season while reality shows Perfect Score and The Hunt are having their series debuts. Meanwhile, this will be the first new episode of Whose Line Is It Anyway? to air since the December 2007 finale on ABC. April 1, 2013 (Burbank, CA) – Continuing its commitment to more original year-round programming, The CW set premiere dates for its new summer 2013 primetime series, it was announced today by Mark Pedowitz, President, The CW. The network’s summer line-up is strategically planned to start in mid-July and continue rolling out into the fall launch. 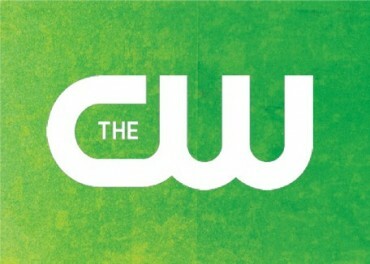 The CW’s summer slate officially kicks off on Tuesday, July 16 with two all-new half hour shows, including the return of the hit improv comedy series WHOSE LINE IS IT ANYWAY? and the new dating competition PERFECT SCORE. Premiere night will feature back-to-back original episodes of WHOSE LINE IS IT ANYWAY? (8:00-9:00p.m. ET) and PERFECT SCORE (9:00-10:00p.m. ET). Starting the next Tuesday, original episodes of WHOSE LINE will air from 8:00-8:30p.m. ET (with encores at 8:30p.m. ), and PERFECT SCORE original telecasts will air at 9:00-9:30p.m. ET (with encores at 9:30p.m. ET). Hosted by comedian Aisha Tyler, WHOSE LINE IS IT ANYWAY? will also feature the return of cast members Ryan Stiles, Wayne Brady and Colin Mochrie, who along with a special guest each episode, must put their comedic skills to the test through a series of spontaneous improv games,prompted only by random ideas supplied by the studio audience. Based on the wildly successful U.K. format, which also spawned a previous incarnation in the US that ran for eight seasons on ABC, WHOSE LINE IS IT ANYWAY? is executive produced by Dan Patterson, Mark Leveson, Jimmy Mulville, Ryan Stiles and Wayne Brady. Co-created by Dan Patterson and Mark Leveson, WHOSE LINE IS IT ANYWAY? is from Angst Productions and Hat Trick Productions. PERFECT SCORE, hosted by fan-favorite actress Arielle Kebbel (“John Tucker Must Die,” “The Vampire Diaries”), puts a unique twist on dating game shows by not only giving players a chance to win a date, but also the opportunity to win cold hard cash — IF they can successfully identify their perfect match. In each half-hour episode, two friends compete to see who can pick their ideal mate from a group of 12 prospective singles, after both the players and the contestants have taken compatibility tests. These tests are used to assign cash values to each possible match, and the player who selects the most compatible single – with the highest cash value – wins the cash prize and the date! Created and executive produced by Scott St. John (“America’s Got Talent,” “Deal or No Deal,”), Thom Beers and Jennifer Mullin. PERFECT SCORE is from FremantleMedia North America (“American Idol,” “The X Factor,” “America’s Got Talent”). On Monday, July 29 (9:00-10:00p.m. ET), the acclaimed reality series BREAKING POINTE returns for a second season. Thiscritically-acclaimed docuseries rips back the curtain on the inner workings of the elite Salt Lake City ballet company, Ballet West. BREAKING POINTE obliterates the notion that ballet is a dated art form and shatters pre-conceived stereotypes about the men and women who give their lives to the world of ballet. Underneath the tights and tutus lie warriors who battle in a gritty world of extreme athleticism, focus and dedication while hunting for the unattainable… perfection. In this close-knit community, the dancers’ lives intertwine both inside and outside of the studio, often putting intense pressure on friendships and romance. BREAKING POINTE is produced by Adjacent Productions, with executive producers Leola Westbrook (“Real Housewives of Atlanta,” “America’s Next Top Model,” “Taking the Stage”), Izzie Pick Ashcroft (“Dancing with the Stars,” “Strictly Come Dancing,” “Big Brother”) and Jane Tranter (“Dancing with the Stars,” “Top Gear,” “Little Dorrit”). THE HUNT will premiere on Wednesday, July 31 (9:00-10:00p.m. ET). In this intense new wilderness competition, 12 teams of 2 will enter “The Arena,” a fenced-in enclosure in the middle of the wild, where they must live for one month and compete against each other for scarce resources. With $250,000 on the line, it’s a winner-take-all battle in which the teams must hunt each other down to survive. Executive produced by David Garfinkle (“Ready for Love”), Jay Renfroe (“Ready for Love”) and Greg Goldman (“Ready for Love”), THE HUNT is from Renegade 83 and Blackbird Televisionin association with Warner Horizon Television. What do you think? Will you be tuning in to watch any of these CW shows this summer? More about: Breaking Pointe, Breaking Pointe: canceled or renewed?, Perfect Score, Perfect Score: canceled or renewed?, The Hunt, The Hunt: canceled or renewed?, Whose Line Is It Anyway?, Whose Line Is It Anyway? : canceled or renewed? Now CW has gone and done it, really the hunt a show that sounds distinctly like the hunger games trilogy which was written to shown people the damage that commercialisation and reality TV can do to our race.well may the odds be ever in your favour. Loox like yet more garbage on the CW….another lame dating/relationship show, and a rip-off of “Survivor”. However, “Breaking Pointe” is informative, while “Whose Line is it Anyway” had a successful run on ABC and could score again on the CW if it’s not changed too much. Gossip Girl already ended back in December. 90210 was cancelled/is ending May 13th. Cult is very likely getting cancelled. After the success The CW has had by pairing Arrow with Supernatural, I doubt they would break that up. The Vampire Diaries will probably never move from Thursday, but I have no problem with Hart of Dixie being placed after it since every show in that slot gets cancelled. However, The Originals will likely take over that spot in the fall.